This shiny penguin is right up J's street. For starters, it is shiny. 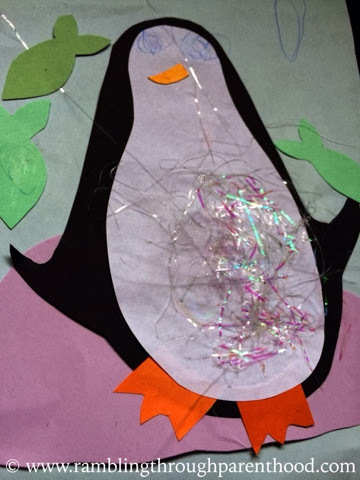 Then there are all those sticky bits that need to be glued on to make it look like a proper penguin. A penguin that is catching fish. And then there is some doodling with crayons. A resounding success overall.